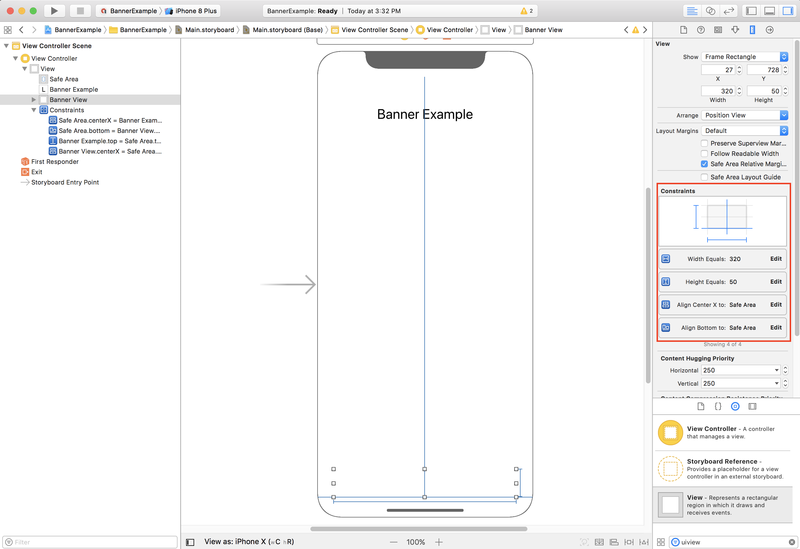 If you wish to have a full-width, left- or right-aligned banner, constrain the left/right edge of the banner to the left/right edge of the Safe Area and not the left/right edge of the superview. 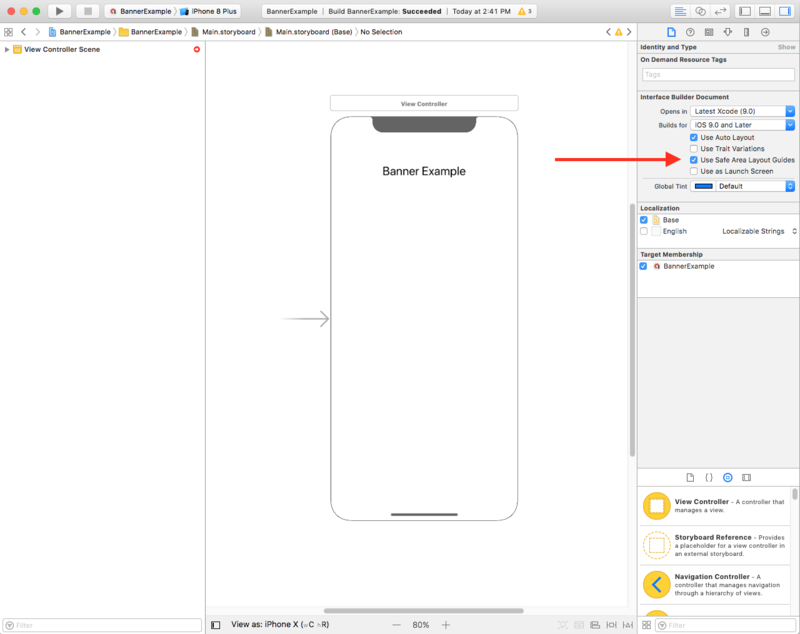 If your app pins native ads to the top or bottom of the screen, the same principles apply for native ads as they do for banner ads. 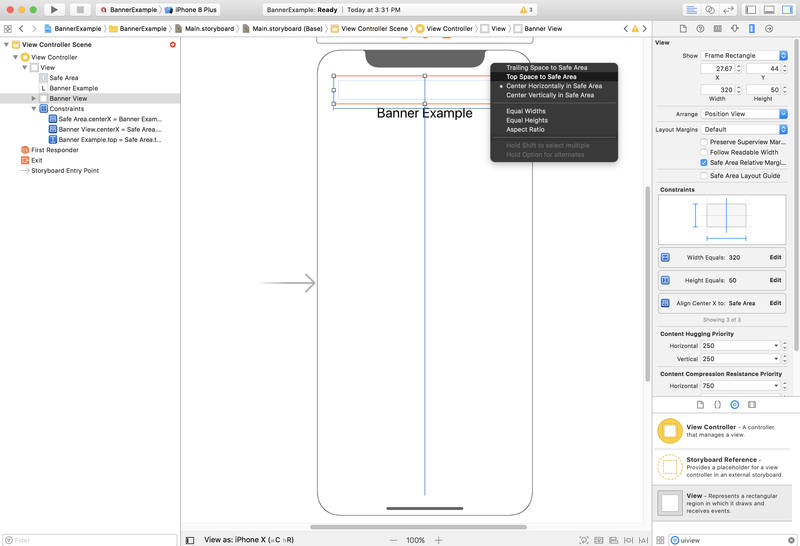 The key difference is instead of adding constraints to a DFPBannerView, you'll need to add constraints to your GADNativeAppInstallAdView and GADNativeContentAdView (or the containing view for the ad) in order to respect the Safe Area layout guides. 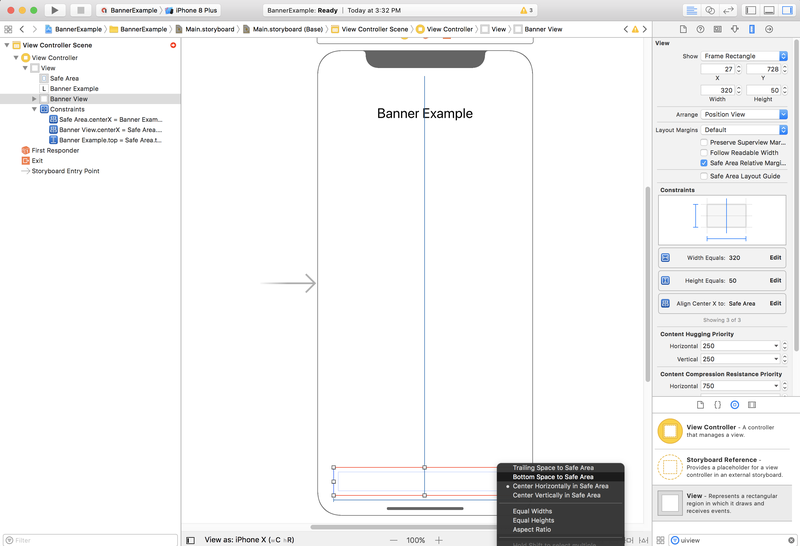 For native views we recommend providing more explicit size constraints. Full screen ad formats, including interstitial and rewarded ads, are rendered by the Google Mobile Ads SDK. 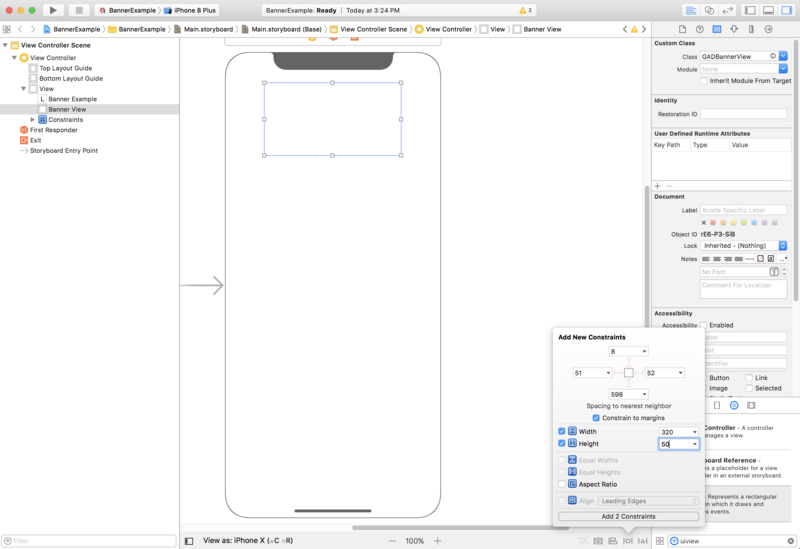 There will be an update to the Google Mobile Ads SDK to ensure that ad elements like the close button render in the right spot. We will update the release notes and this documentation page when this change is available.